I can’t believe that we are already well into the 2nd half of the summer. The reality began to hit home for me this morning when I woke up for the gym, and it was still dark outside. Bah! Aside from the warmer weather and constant backyard grilling adventures, I also love the longer summer days. And those are starting to come to an end. But hold on, Old Man Winter…I’m not giving up on summer yet! It’s been a great few months already, and I’m determined to make the most out of the remaining weeks! I’ve had a busy summer full of traveling and all-around fun so far. The past month alone has seen all sorts of traveling for me and my wife. We went to a wedding in Charleston, SC, which was loads of fun since I grew up in Charleston, and I hadn’t been back to visit in years. (And I also picked up some South Carolina peaches while I was there…delicious!) Then we took a quick trip down to visit friends in Connecticut before heading over to Scotland for a week. Scotland was an amazing country, and I would recommend a visit to anyone and everyone! (Keep an eye out in the coming weeks as I have several new recipes planned that were inspired by the trip around Scotland…) But now I am back home in upstate New York, and I’m ready to pack as much fun as I can into the last month or so of the summer! Speaking of summer fun, I couldn’t imagine summer without the grill going constantly in the backyard! My wife and I were craving something easy and delicious last night, so I pulled out a pack of Hebrew National hot dogs, fired up the grill, and had dinner going in a flash. Now I love a good classic American-style hot dog loaded with relish and mustard, but I wanted to mix it up a bit last night. 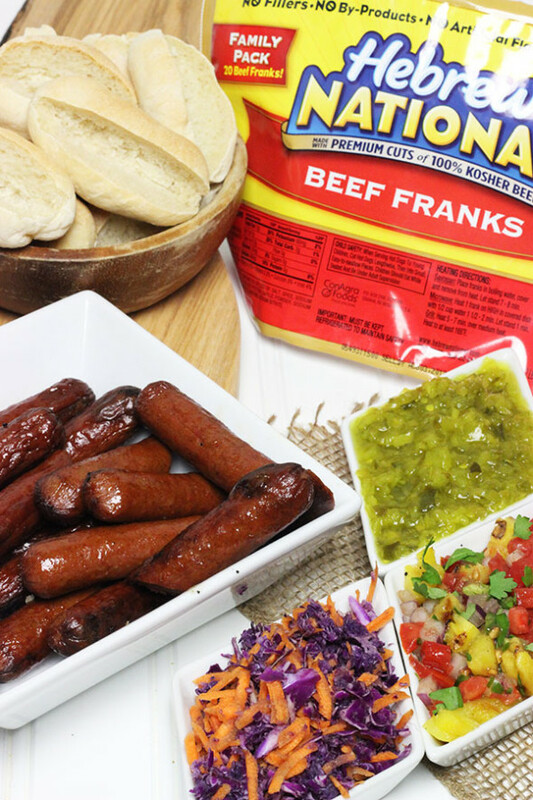 I decided to create a trio of internationally-inspired hot dogs…I had fun being creative with the toppings, and then I had even more fun eating the hot dogs! And of course, the Hebrew National hot dogs made a huge difference, too. One of the reasons I love Hebrew National hot dogs is that the franks are all-beef and don’t include any fillers or by-products. I personally like knowing that the food I eat is all-natural and doesn’t include any artificial colors and flavors. And on top of that, the flavor of Hebrew National hot dogs is amazing! Since I had made three different styles of hot dogs, we decided to cut each frank in half and serve mini-hot dogs…or “Party Pups” as my wife likes to call them! I used my go-to Homemade Hamburger Buns recipe, and just shaped the dough into smaller hot-dog shaped buns. You could just as easily purchase a pack of hot-dog buns at the store and cut each in half, though. 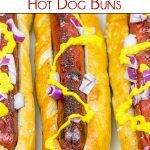 I had a blast making these mini-hot dog bites! And after tasting each one, I really have no idea which is my favorite. The trio of toppings were: a Spanish-inspired Grilled Pineapple Salsa, an Asian-inspired Cabbage and Carrot Slaw, and an American-inspired Dill Pickle Relish + Mustard. 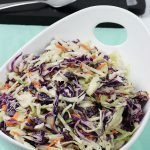 Combine the shredded cabbage and carrot in a medium bowl. In a small bowl, combine the rice vinegar, sugar, sesame oil, and soy sauce. Whisk lightly until mixed. 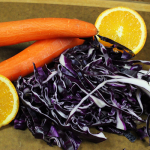 Add the liquid mixture to the cabbage and carrot and stir until well coated. Grill the pineapple rings on high heat for about 4-5 minutes per side. Let rings cool, then dice and place in medium bowl. Add tomato, jalapeno, red onion, cilantro and cumin. Mix until well combined. 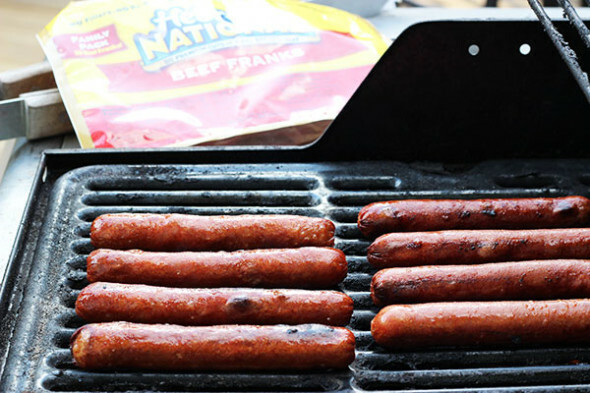 Grill Hebrew National Hot Dogs and slice each frank in half width-wise. Place franks in mini-hot dog buns. 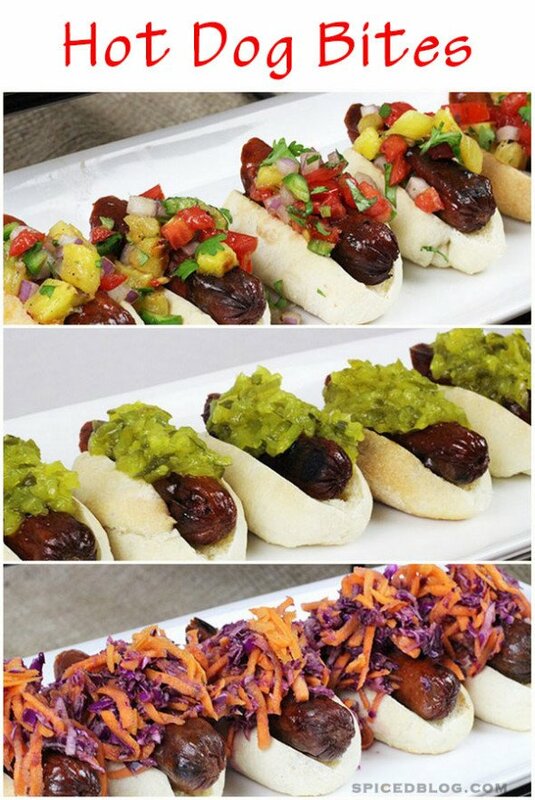 Top several Hot Dog Bites with either Cabbage + Carrot Slaw, Grilled Pineapple Salsa, or Dill Pickle Relish + Mustard. Disclosure: Compensation was provided by Hebrew National via Glam Media. The opinions expressed herein are those of the author and are not indicative of the opinions or positions of Hebrew National. Oh man, my fiance is going to be all over this recipe. I am so hungry just looking at it! !